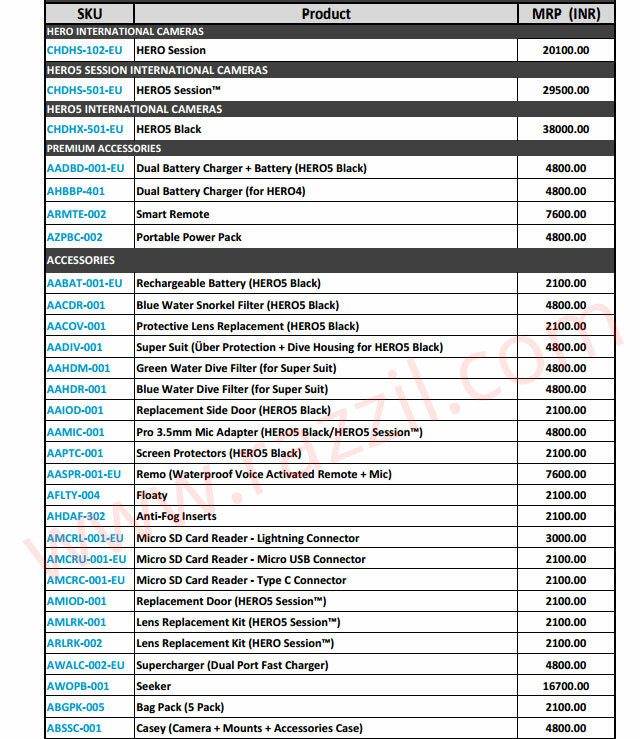 Update: GoPro Hero5 & Hero 5 Session India Price revealed. GoPro Hero 5 will cost Rs. 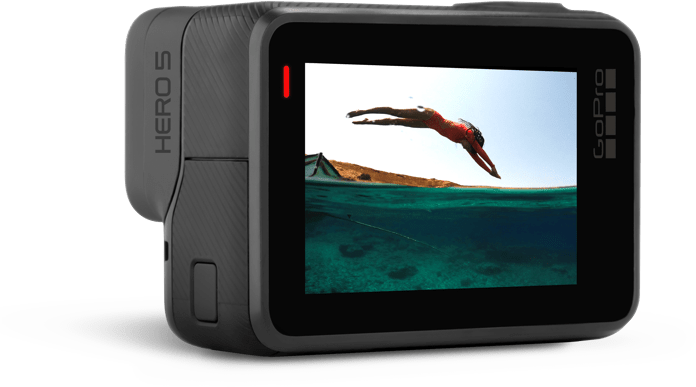 38,000 in India while Hero5 Session is priced at Rs. 29,500. GoPro Karma will be gone on sale in Early 2017. GoPro finally launches much awaited Karma Drone and New Action camera line up GoPro Hero5 Camera and Hero5 Session. 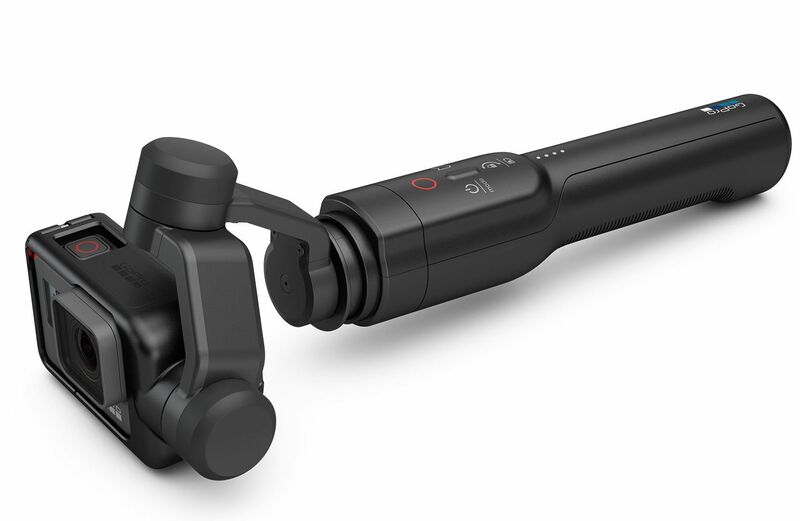 Along with these GoPro also launched the New 3-Axis Gimbal and GoPro Plus, a cloud-based subscription with Auto upload feature & edit video/photo from anywhere using computer or phone. GoPro finally steps up in Drone market with GoPro Karma. The Karma is lightweight Drone which can achieve Maximum Speed @ 56.3 km/h, maximum Distance of 3280 ft and maximum Flight Altitude of 14,500 feet. Karma Controller comes with 5-inch Screen size with a resolution of 720p and battery life of 4 hours. The drone equipped with 5100 mAh Li-Po Battery with Flight time up to 20 mins. The Best thing about GoPro Karma Drone is it can hold 3-Axis handheld Stabilizer which means your video is stable out of the box. GoPro Karma is compatible with Hero5 Camera, Hero5 Session & Hero4 Black & Silver. GoPro Hero5 is next gen Action Camera which is both rugged & Waterproof. Now it comes with 2-inch Touch Display to frame your shot better and hands-free voice control to control your camera. Unlike the previous camera, the Hero5 is waterproof out of box up to 33ft without any housing. GoPro Hero5 has 12 MP Camera which is capable of recording 4K Video and can shoot in RAW-WDR Photo. 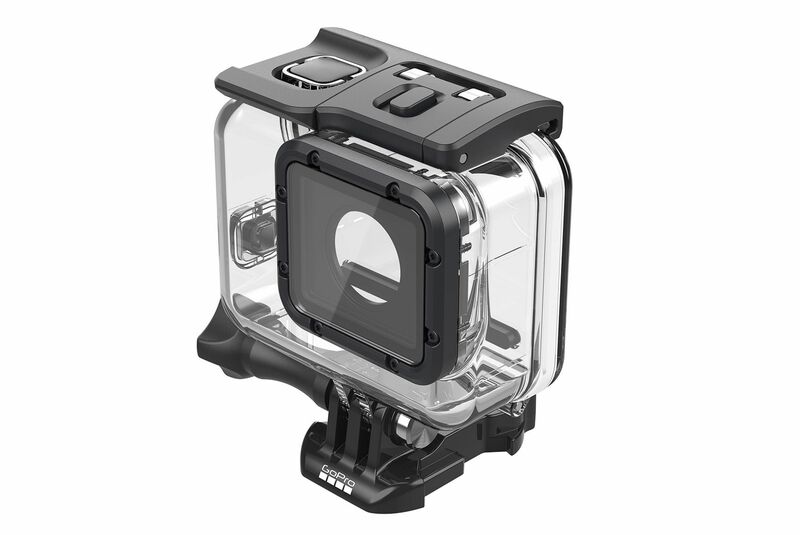 It also has Stereo Audio and GPS feature which is new in GoPro lineup. For advance users, you can control the exposure from settings. RAW photos provide flexibility when editing and WDR photo mode captures both detail in shadows and highlights in the scene. GoPro can shot 4K Video @ 30 fps, 1440P Video @ 80 FPS and Full HD video @ 120 fps. With 12 MP Camera, you can burst time lapse @ 30 fps. For connectivity, GoPro now comes with Bluetooth + WiFi and also uses inbuilt Video stabilization technique to stabilize motion videos. The naked body is designed such as it can reduce Wind Noise while shooting video. Enjoy the beautiful video shot using GoPro Hero5 & Karma Drone. Quik Key – a key-chain, micro-USB card reader that plugs into your phone to quickly transfer photos and videos from your GoPro. REMO – a voice-activated remote that extends the voice control range of HERO5 cameras while providing one-button remote control. 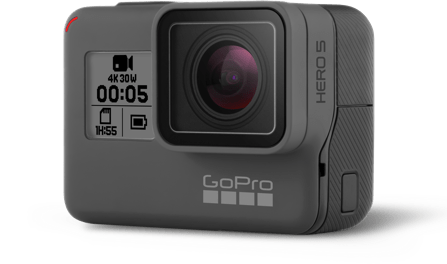 Super Suit – Housing for Hero5, Waterproof to 196ft. Also compatible with a floaty. GoPro Hero5 will Ship on Oct 2 & Karma on Oct 23 2016 in US & UK. In India, GoPro will be available for sale on the Second week of October and GoPro Karma will be available in India in Early 2017. GoPro Hero5 will be available for sale in India from Oct 17,2016. What about the karma? Where I can buy in India? It’s illegal to import Drones in India. So I don’t think Karma will be available in India. I’ll check again with GoPro and it’s Indian distributors. Hey Thanks for replying man. I was planning to order from the US store which means $80 shipping fee + local taxes (unknown) which would mean almost same. Can you please share with us any details of the official distributor in India from whom I could order this? So how and where do we get to buy them? Thanks for sharing this. Also, how did you calculate the price? Is it some rough estimation of the cost of ordering directly to India from GoPro’s website? Hi harish, the price is from an Official distributor of GoPro cameras in India. Where is the distributor located in India.